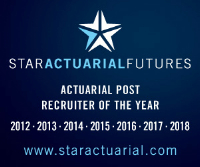 Our client, a leading insurer, is seeking a part qualified GI actuary (or talented actuarial graduate) to b responsible for pricing work on products within Motor, Travel, PMI and Home insurance. In this fantastic career-development opportunity, you will monitor the pricing performance of each product whilst recommending changes to gross rating structures to maximise revenue yield. In addition, you will carry out testing of rate changes and other IT projects with testing teams and support existing forecasting models for each product, providing input to finance processes. With excellent verbal and written communication skills, the successful candidate will also be comfortable working with large amounts of data. Experience of programming languages such as SQL, VBA and R, alongside knowledge of Emblem or similar systems, would be an advantage. Pensions and life candidates seeking to cross-over into non-life insurance will be considered. Take this opportunity to develop your career within a market-leading firm.